This is a map put together by Mountain View Lodges that shows 20 Things to Do in the region. 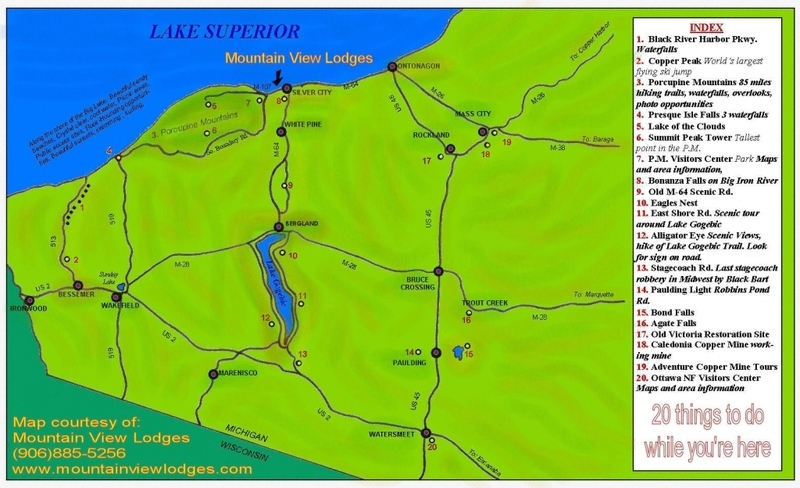 Include Mountain View Lodges in your Lake Superior Circle Tour! View the Map. 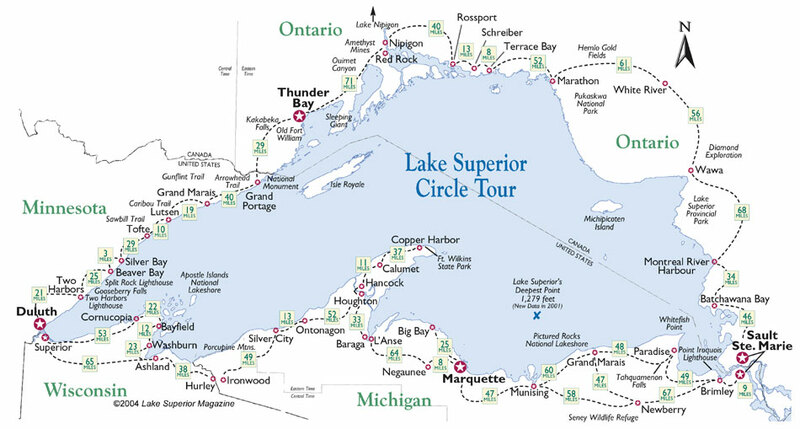 Learn more about the Lake Superior Circle Tour here. Don’t miss any of the gorgeous waterfalls that the Porcupine Mountains region has to offer! Click here to see a map of all the waterfalls. See the official Porcupine Mountains Wilderness State Park map, including hiking trails, attractions, and more. Look on our chart to see your distance from Mountain View Lodges, along with information about air travel. Have a question or looking for more information about Mountain View Lodges? Take a look at our contact page.